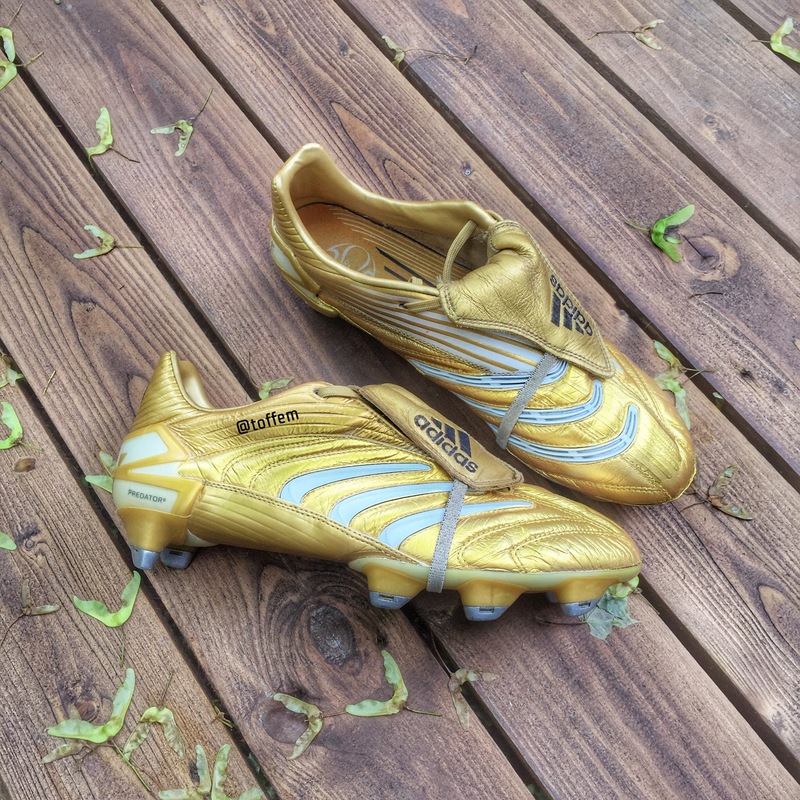 Adidas Predator Absolute in whole gold and white colourway. 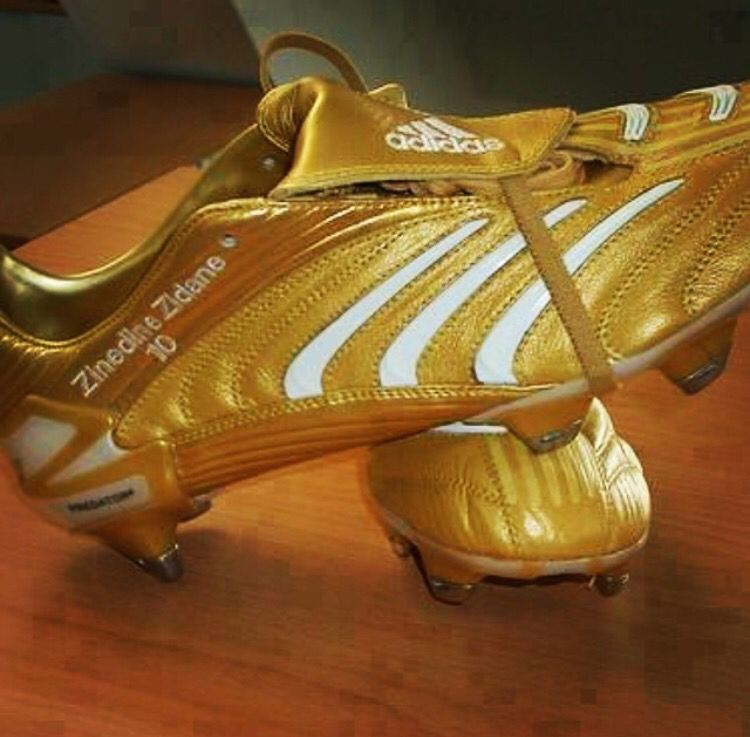 A special pair of these were given to Zinedine Zidane in 2006 World Cup in Germany! 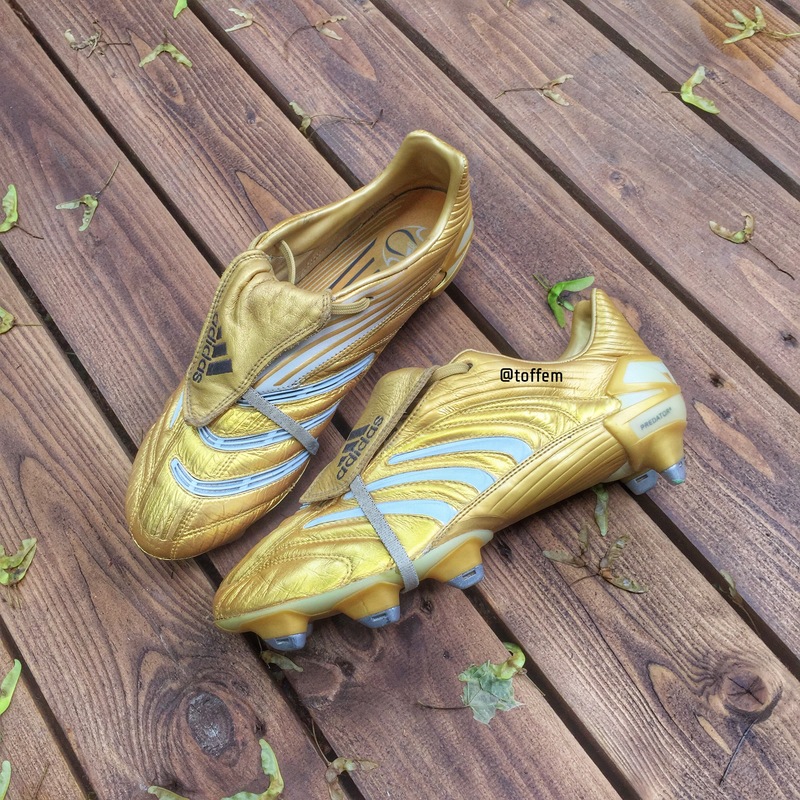 I don’t own the Zidane match worn pair, but I came by a similiar pair, not matchworn and no tags in the boot. 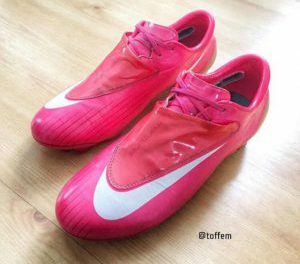 A stunning colourway! 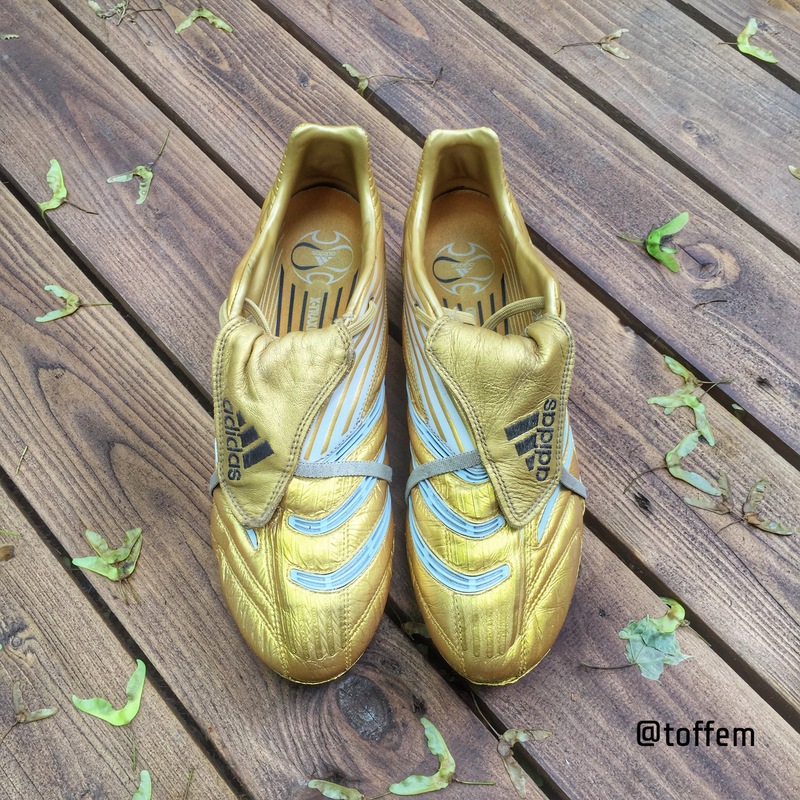 How much for the shoes?